Fred Armisen’s progressively worsening Barack Obama impression on Saturday Night Live may have seen its last days. 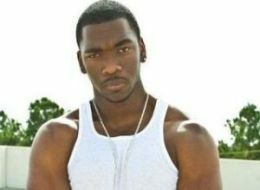 SNL chief Lorne Michaels is looking at 22-year-old Virginia comic Jay Pharoah, according to reports. Pharoah’s stand-up is centered around a big arsenal of impressions, including a pretty solid Obama. According to reports, Pharoah has flown to New York for screen tests and meetings with Michaels. Check out that Obama impression, along with Jay-Z, Denzel Washington, Eddie Murphy and Gollum from Lord of the Rings, in the video below the jump. If Pharoah joins SNL, its number of African-American players would explode to — gasp! — two, if Keenan Thompson still has a job there. With Paul Brittain, Taran Killam and Vanessa Bayer ready to hop aboard, Pharoah’s addition would be the show’s biggest influx of talent in a single season since 2001. Seth Meyers, Amy Poehler, Dean Edwards and Jeff Richards joined the cast then in its 27th season.